Status : Uncomplete - private collection. Stored at owner's home. 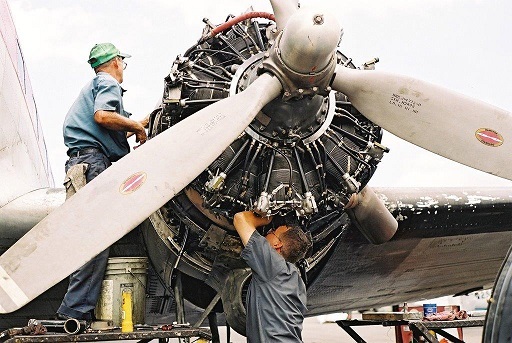 The Pratt & Whitney R-1830 Twin Wasp was an american aircraft engine widely used in the 1930’s and 1940’s years. Of classic design as a 14 cylinders in two-row air-cooled radial, its first model developed 800hp while the latest versions developed 1200hp. A total of 173.618 R-1830 was built and they were fitted on famous aircrafts like the C-47 Dakota, PBY Catalina, B-24 Liberator and many others aircrafts. BAPA’s R-1830-92 once powered the Publi-Air’s C-47 registered N49AG in the 1990’s until an engine change declare it non-serviceable. 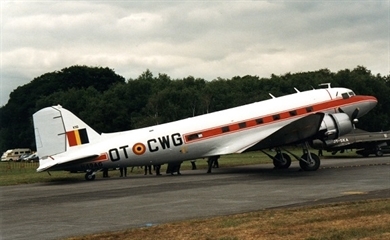 Given to the Dakota museum at Melsbroek to help at their C-47 restoration, it was eventually given to our association.